Among the list of things to consider when selling a house is determining its appropriate price. Sadly, many sellers tend to make mistakes when pricing their homes. When the price is too high, the buyers may choose lesser priced homes to purchase. This leaves your home on the market longer than necessary. When the price is lower than it should be, you could end up taking a loss. As you begin the home selling process, check out these considerations for pricing your home right from the start. When you determine the amount of money you would like to receive from the sale of the house, you are setting the asking price. Keep in mind that this is not the same as the selling price. The selling price is the amount of money that a potential buyer is willing to pay for the property. Ideally, you want these two numbers to be as close as possible. The asking price may also be referred to as the listing price. The value of a home keeps on changing from time to time depending on the changes in the neighborhood and real estate market. You might not sell the house at the exact value that you paid. Determining the value of your home helps you in coming up with the right asking price. Gathering information on similar sales can help you know the current value of the house. 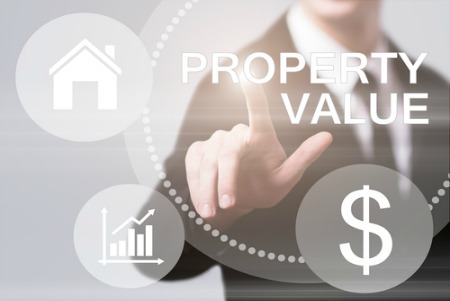 The most appropriate way of valuing your home is employing the services of a professional appraiser. Your real estate agent can provide a comprehensive report that helps. Your real estate agent knows the real estate market. Because this is their business, they understand what steps to take and which to avoid. The agent will not only advise you but also help you in pricing your home. It also becomes easier to find a buyer when working with a real estate agent. In your search for an agent, choose one with a positive sales record. The agent should be somebody who is trustworthy, communicates at a high level, and is a strong negotiator. Before listing the home for sale, it is important to ensure that you have established the right price. Previous research has shown that homes that are put on the market with a given listing price, then changed later sit on the market longer, ultimately selling for less than other similar homes. Setting the right home price from the beginning speeds up the selling process. It also eliminates any chances of making losses and gives the buyer a perfect opportunity to prepare for payment especially if the buyer intends to use a mortgage loan. A wrong price would inconvenience the buyer.